Elaine M. Aalto, 82, a resident of Calumet passed away peacefully at The Lighthouse of Hubbell on Monday, October 1, 2018. She was born on October 13, 1935 in Laurium to George and Annie (Price) Fountaine. Elaine enjoyed spending time with her family and her friends. She was also an avid knitter. On July 24, 1954 she was united in marriage to Reino Aalto in Bootjack and he preceded her in death on October 7, 1993. She is preceded in death by her brothers and sisters; Gordy, Larry, Earl, Kenny, Dorothy, Evelyn, and Lorraine. 7 grandchildren: Melanie, Eric, Jessica, Lee, Josey, Austin, and Dustin. Per Elaine’s wishes, a private family service will be held at the Erickson Crowley Peterson Funeral Home with Fr. Abraham Mupparathara to officiate. The family would like to thank the Lighthouse at Hubbell for the care Elaine received during her stay. Burial will take place at the Lake View Cemetery in Calumet. 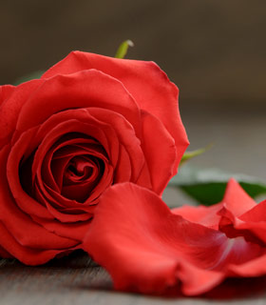 To send flowers to the family of Elaine Mary Aalto (Fountaine), please visit our Heartfelt Sympathies Store. Gary, Dave and family, We are saddened to hear of the loss of your Mother. You are in our thoughts and prayers.